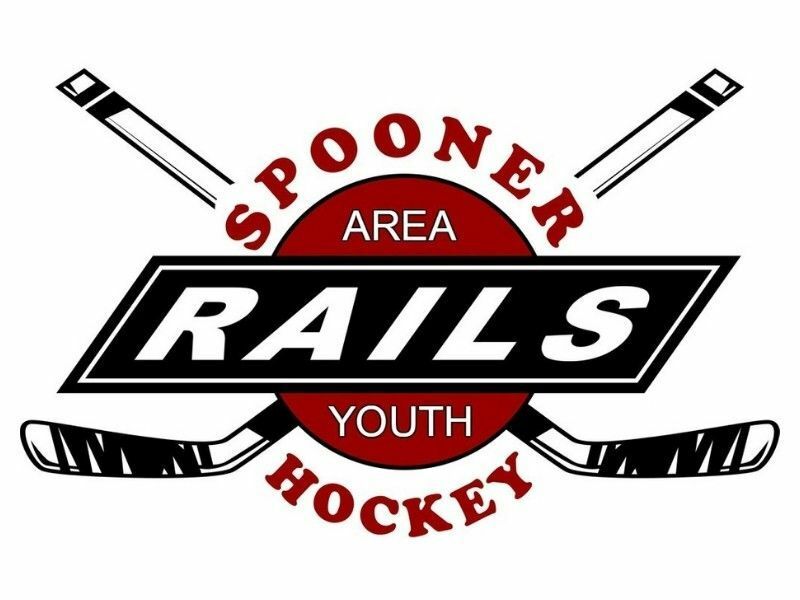 The Spooner Area Youth Hockey is 501(c)(3) non-profit association that represents 138 skaters in the Spooner Area. The Spooner Area is defined by the Wisconsin Amateur Hockey Association (WAHA) as the area that includes the school districts of Spooner, Shell Lake and Northwoods. 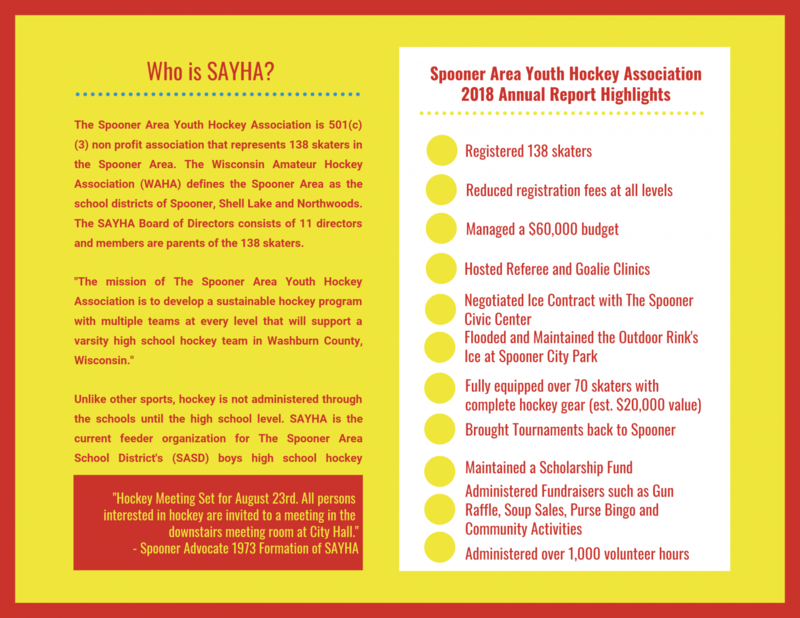 The SAYHA Board of Directors consists of 11 directors and members are parents of the 138 skaters. "The mission of The Spooner Area Youth Hockey Association is to develop a sustainable hockey program with multiple teams at every level that will support a varsity high school hockey team in Washburn County, Wisconsin." Unlike other sports, hockey is not administered through school districts or community education until the high school level. SAYHA is the current feeder organization for The Spooner Area School District and The School District of Shell Lake boys high school hockey program. Administered fundraising activities such as gun raffle, purse bingo, meat raffles, soup sales and community activities such as Jack Frost Fest, Jack Pine Savage Days, Spooner Rodeo and Jack-O Lantern Festival.